Love at first sip! 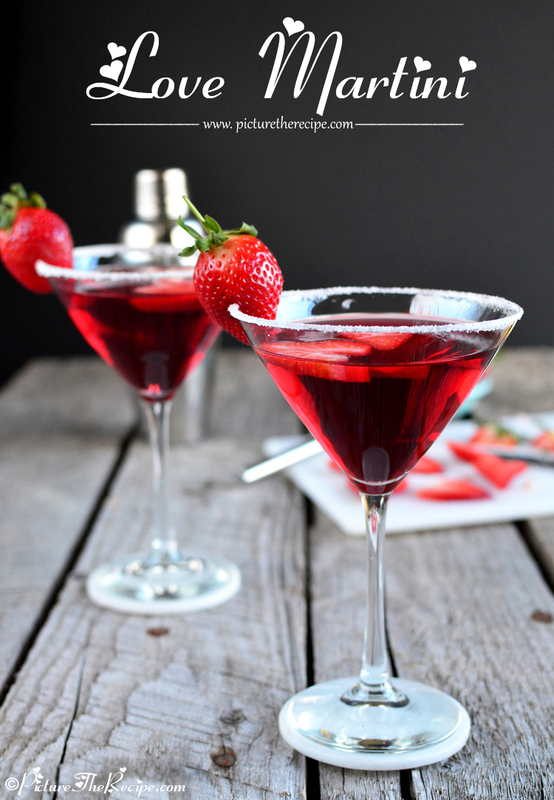 This sweet and fruity cocktail is perfect for a Valentine’s Day celebration. 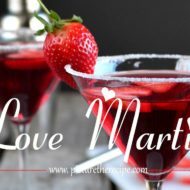 Inspired by her favorite cocktail at the Melting Pot called ‘Love Martini’, my sister-in-law has been making this cocktail with her own little twist at family gatherings for more than a few years now. She had me with just the first sniff of the drink and I immediately loved it. The sweetness of the sweet Peach Schnapps is balanced out by the tart Cranberry Juice and Vodka, while the Malibu Rum gives it just a hint of a tropical feel. The strawberry slices at the end too are a wonderful treat! The original Melting Pot version of this cocktail with just Malibu rum, Peach Schnapps and Cranberry Juice, is a little too sweet for my taste (now that I’ve tried my sister-in-law’s cocktail). Her alterations in the proportions of the mix…make for a better cocktail I feel (Thanks Dusti!). So if you’re looking for an exact copycat recipe, this may not be it. But, I can say that its close enough and way better in my books! I’ve had this cocktail on date nights and other occasions at family gatherings and such, so don’t look at it as a Valentine’s day exclusive. However, I thought that with it it’s name and a few modifications to the garnish (the heart shaped slices of strawberry) it would be apt for the upcoming romantic holiday. 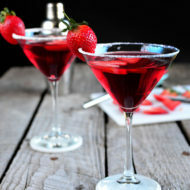 - To make strawberry hearts for the garnish cut a small "v" to remove the stem of the strawberry. Then cut it into slices. - You can rim your martini glass with sugar (if you want)- just use a lime/lemon wedge along the rim of the glass to get it wet and dip the glass in a plate with sugar. - Gently mix the Malibu Rum, Peach Schnapps, Vodka and Cranberry Juice together in a shaker (over ice if your Cranberry juice is not cold and pour it into the prepared glass. 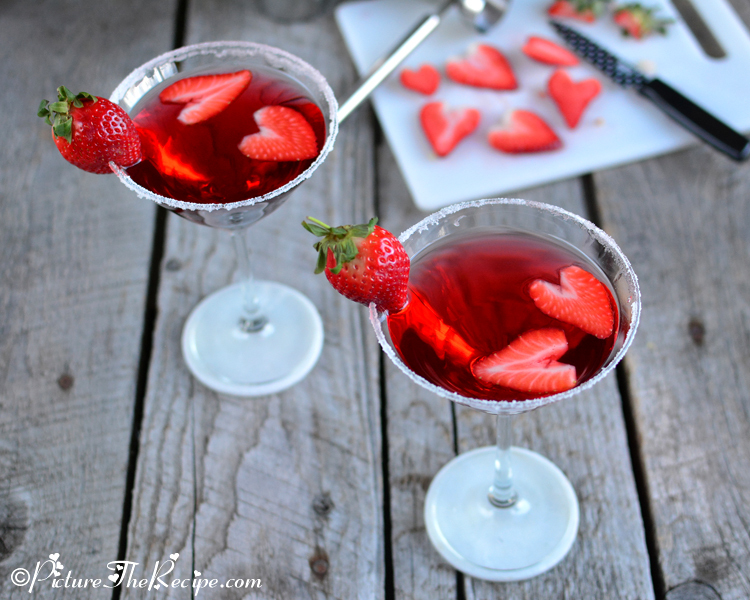 - Garnish your love martini with a couple strawberry hearts and a strawberry on the rim! Enjoy! 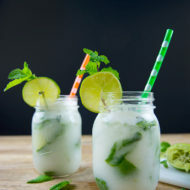 You can use either plain Vodka or any citrus flavored vodkas too. Because of the sweetness of this drink it doesn't really need a sugar rim...I just did it cos it's pretty! Drink responsibly. Don't drink and drive. Just wondering about the specificity of Malibu Rum. Would another rum work equally well? Why/why not? Thanks. Well the Malibu rum is coconut flavored rum, so if there’s another coconut rum out there it would work just as well. I feel like other plain rums wouldn’t lend that hint of coconut the drink has, but I’m no expert it may just taste good too! I’ll share this with friends. I’ll have to make some. Not really sure what you are asking here?? this page has the recipe with specific quantities above for 1 serving. Just figure out how many servings you need and make it accordingly. This is dumb. 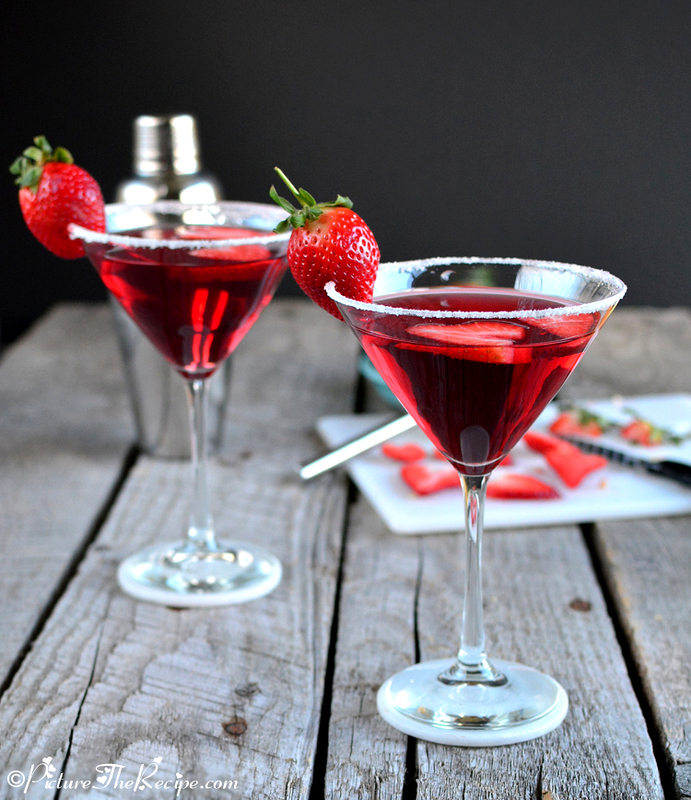 No strawberry liquor… no muddled strawberries. 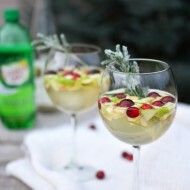 Why the garnish then? These listed ingredients make a Key West Martini. Do some research.